As data centers grow in size and complexity, there is a need for a comprehensive Asset Management solution to maintain an accurate record of data center assets across the entire enterprise and available inventory that can be deployed. NetZoom™ is the DCIM solution that manages the physical, virtual and cloud assets including their location, physical and logical relationships, connectivity, asset lifecycle, contracts, resources and software. The data center provides the critical backbone required to run the enterprise. Due to its completeness and ability to quickly locate where assets are installed, NetZoom is the System of Record for many enterprises providing information on all IT and Facility devices, components and connectivity. Managing virtualization in a data center is essential. 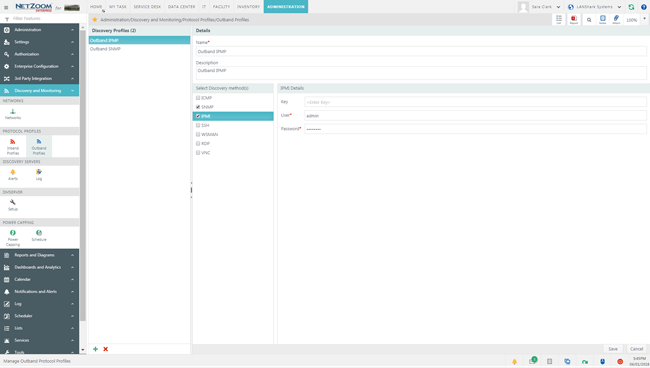 Out-of-the-box NetZoom integrates with hypervisors including vSphere and Hyper-V.
NetZoom automatically discovers the hypervisors so they can be managed and controlled. 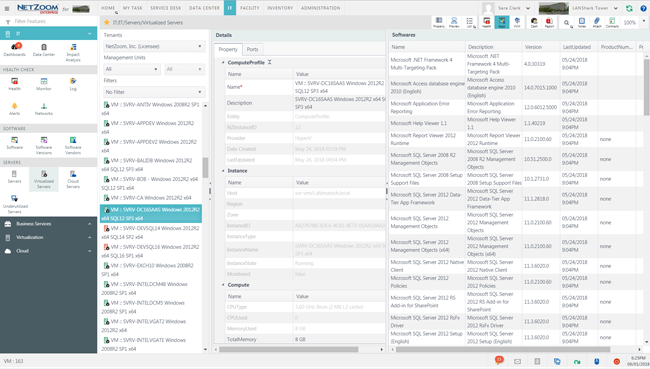 Use NetZoom to track the CPU, memory and storage performance of each virtual machine, view the applications and manage the virtual instances within a single DCIM application. 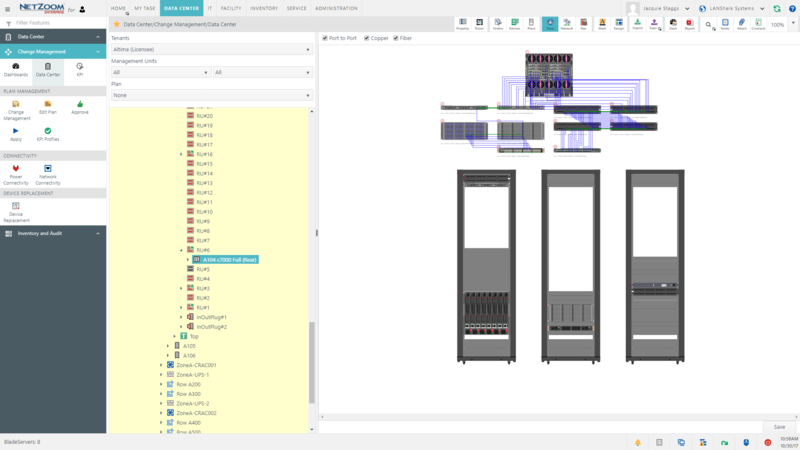 NetZoom’s modeling module lets users define standard rack and blade configurations, also known as SmartBuilds, once and use as many times as needed. Configure the mounted devices and internal connectivity for quick and easy deployment. 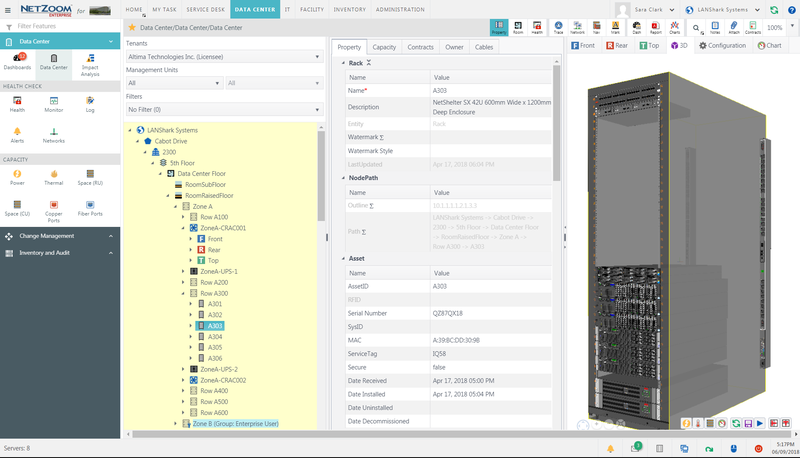 NetZoom modeling is supported by the NetZoom Device Library containing over 250,000 models of IT and Facility devices. 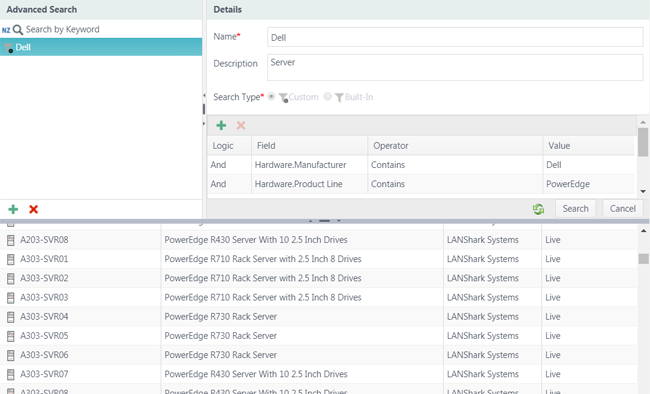 Users can construct Smart Builds and Models of commonly configured devices, blade chassis, racks, or pods for storage as inventory items that can be selected as required for rapid deployment of new assets. 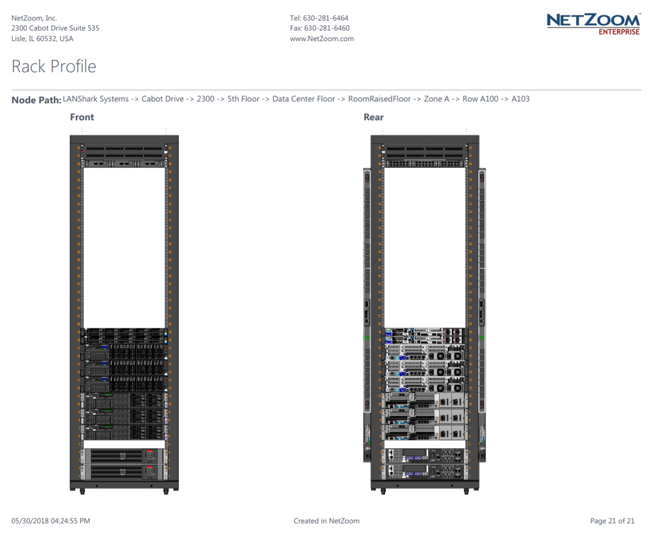 The Placement Wizard helps locate optimal locations where the new models can be deployed based on various criteria like required power availability, rack units and network ports. NetZoom automatically maintains device location information, RU position, IPs, device associated Resources, contract information and computed capacity metrics. Real-time data is received from multiple sources including Intel DCM, RFID, Hypervisor integration, Cloud services, and CMDB integration. 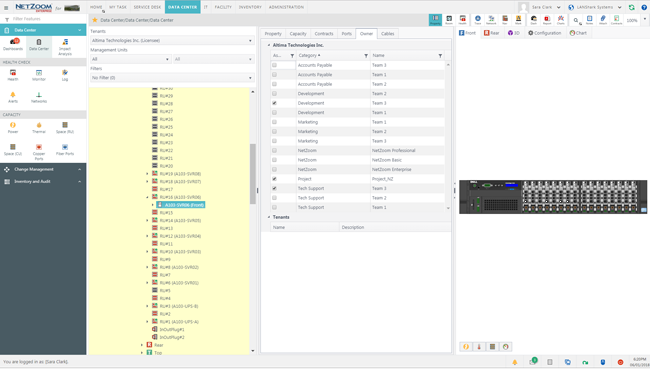 Users can further customize and extend the asset properties using Entity Manager. 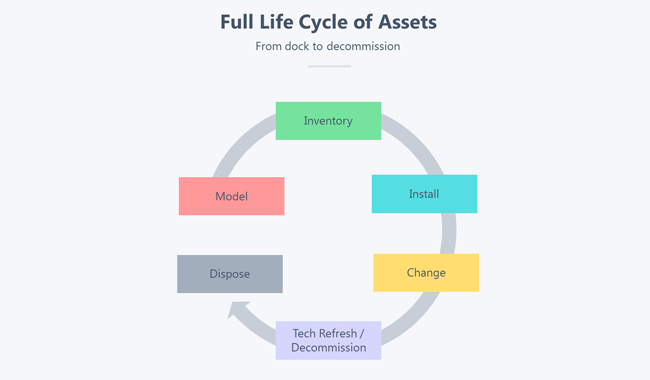 NetZoom provides users the ability to assign asset ownership for each device. Track and manage asset ownership, stakeholders, maintenance teams, department or any other organizational management unit. 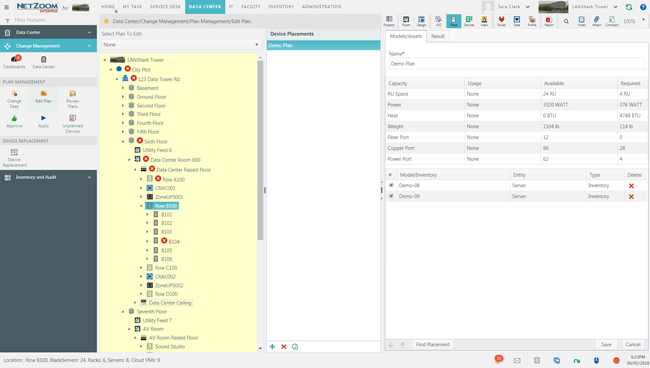 NetZoom also provides true multitenancy, or the ability to lock user access and visibility to only the assets assigned to the user, group, or department. Multitenancy of assets is the key to ensure segregation of data center assets between intra company teams or external customers. Visit the data center virtually from your desk with 2D & 3D visualization of devices, racks, locations, floors and buildings. 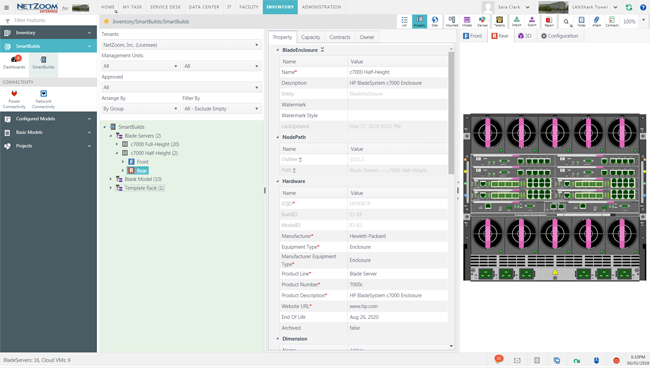 View capacity metric overlays to gain insight into the data center. 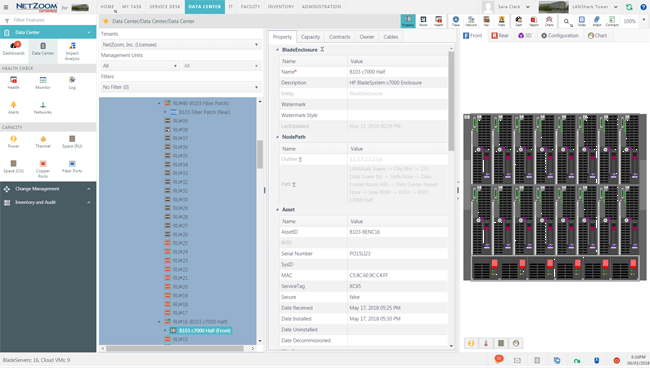 Visualize how all IT and Facility assets are interrelated with end-to-end power and network connectivity throughout the data center. 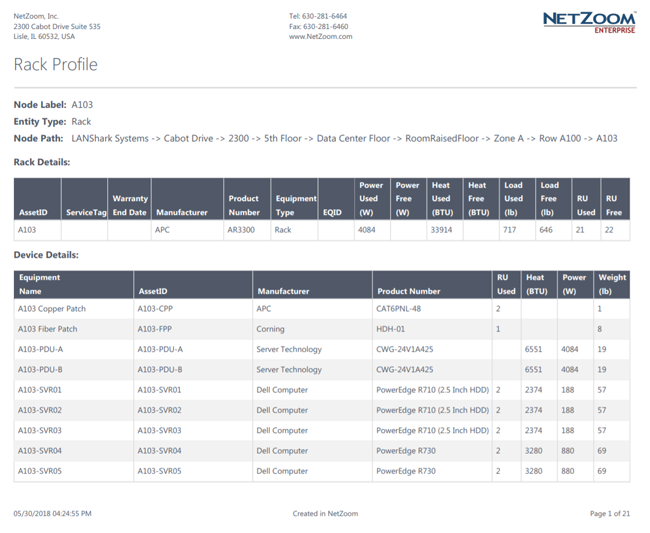 NetZoom has the ability to catalog all enterprise data center assets including software assets. Users can discover the software on servers, catalog the software, identify unauthorized software deployments, and receive an aggregated software summary. There are dozens of ready-to-use and customizable asset reports, analytics and dashboards available throughout NetZoom. 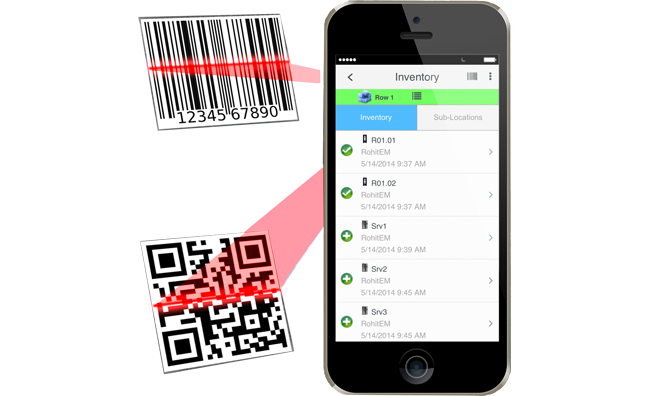 Users can print barcodes and labels for asset management directly from NetZoom. The Integrated Report Builder, which has user definable headers and footers, and Dashboard Designer ensure that users have the all the required asset reports, analytics and dashboards. Use the Mobile App to always have asset management on the go. The mobile app is available on both android and iOS platforms, to ensure that you are never far away from your data center assets. NetZoom users can Audit the accuracy of the asset inventory in real-time with our free Mobile App. The mobile app is available on both android and iOS platforms, and enables users to conduct inventory audits, and scan bar codes, to quickly audit asset inventory and validate inventory accuracy. The mobile app enables users to quickly find any errors that need to be addressed to ensure inventory and compliance accuracy. NetZoom has robust Agentless discovery capability that enables users to execute user-defined discovery for all of the following protocols: WMI, TCP, IPMI, SNMP, SSH, WSMAN, RDP, VNC, and Redfish. NetZoom is easy to populate with importing from Excel spreadsheets, Visio diagrams, and network discovery; easy to use with an intuitive interface; easy to maintain an accurate record with Quick Change and Audit.